Recent statements by the newly-appointed chairman of Crown Resorts indicate that the casino operator is moving away from having a rigid definition for its VIP market segment, which it was targeting keeping in mind the development of its new Barangaroo luxury casino which is to be developed in Sydney. 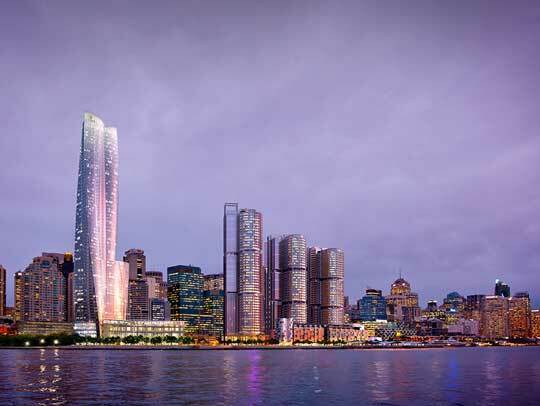 Plans revealed so far for the high-end $1.2 billion casino project show a six-star 300-room luxury hotel along with a VIP-only casino, to be developed near the Sydney Harbour in Barangaroo. There are no poker machines in the facility. The project recently received approval from the NSW government after several months’ of delay and is now expected to open in 2021. The new executive chairman John Alexander recently stated that the Barangaroo project would appeal to more than just VIP high-roller customers. He said that along with international players, the local market would also be a critical focus. Our Barangaroo project will be the principal attraction for our customers. VIP is very important but it is not the only arm and leg of Barangaroo. We expect to capture our share of the local market, which is strong and growing. We expect to have a lot greater clarity of our VIP operations by then[the opening]. Such recent comments are at odds with the company’s earlier stance when it pitched for the license.At that time it had stated that it would be focusing on Chinese high rollers. Crown’s plans for the Barangaroo project have been revised several times. A 168-metre hotel was first proposed but the final plan has a 271-metre hotel. The initial design had exclusive VIP rooms but later they were revised to a large gaming floor since Crown’s experience in its other gaming ventures showed that split-level gaming is not as profitable. Additionally the NSW planning commission introduced several design changes like increased public access before approving the proposal. Crown’s competition in the city includes Star Entertainment Group’s casino which operates nearly 1500 pokies along with numerous local clubs that also offer pokies. Alexander has dismissed long-term negative impact of the arrests of 18 Crown employees by Chinese authorities on gambling crimes. So far only one has been released with others yet to be charged. The Chinese arrests have impacted the VIP income at Crown’s Melbourne and Perth casino’s quite sharply, with Melbourne seeing a 47 percent drop and Perth seeing a 39 percent drop. The company is additionally planning to undertake cost cutting measures that include extensive job cuts across its Australian properties.